The St Patrick’s Hotel Malta, is a small, friendly hotel perched on the scenic edge of Xlendi’s bay - the irrefutably beautiful south west fringe of the Maltese island, Gozo. Bars, restaurants and shops surround the area in Xlendi’s centre. The rocky Mediterranean backdrop across the bay marks the end of the rugged-looking Xlendi Valley that is not only favoured for its great sunbathing and diving, but also provides truly spectacular sights to gaze upon from your room. Guests staying in the twin or double air conditioned rooms have three ‘view’ options: one overlooking the valley, another offering the expansive sea view and the third is the internal view that overlooks the hotel’s own internal courtyard that is positively Mediterranean with its terracotta tiling, simple balcony design and tall open-window plan. The St Patrick’s Hotel, Gozo, is a magnificent sight itself; at night the soft glow of the streetlamps dotted across the bay send dazzling reflections rippling gently across the calm waters and, pitched against the sparkly blue skies, is reminiscent of the atmospheric mood captured in Van Gogh’s Café Terrace at Night. On the St Patrick’s Hotel terrace, you can leisurely sip summer cocktails from the bar and enjoy food your way with the restaurant’s flexible à la carte menu. The roof terrace also provides a stunning view elevated above the silky waters of the dreamy cove. 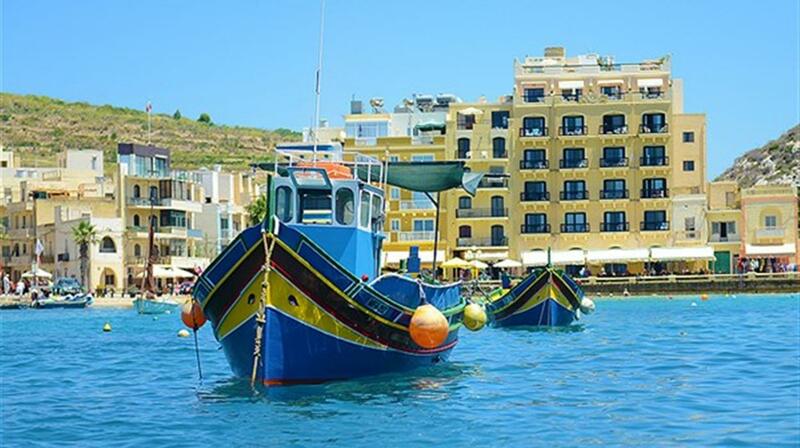 Being a small fishing village, Xlendi is ideal for casting a hook and relaxing on the shore. Other activities to keep you occupied include diving, snorkelling, hiking and bicycle rental. 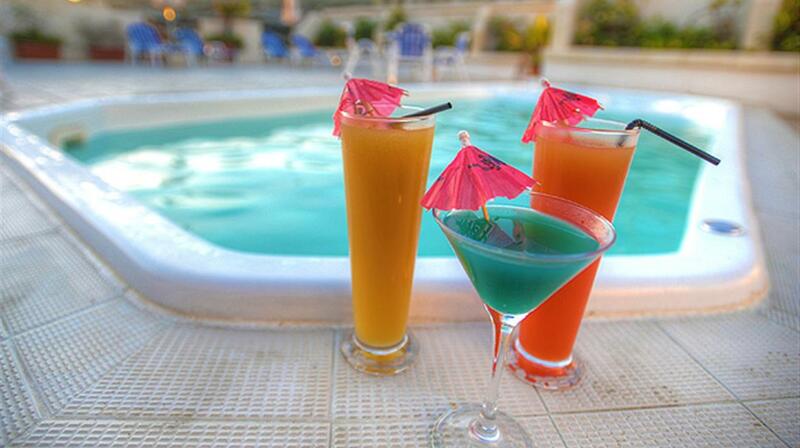 St Patrick’s Hotel, Gozo, has its very own splash pool. Plus, there’s even a nearby library if you fancy a quiet read be it in sun or shade. 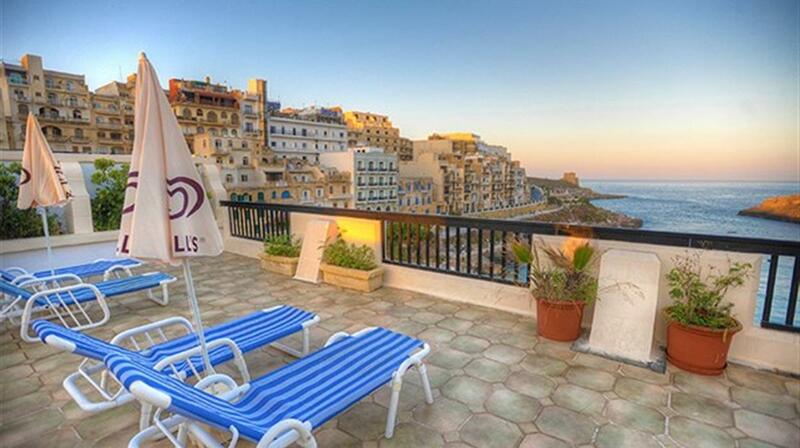 Wi-Fi is also available throughout the St Patrick’s Hotel, Xlendi. 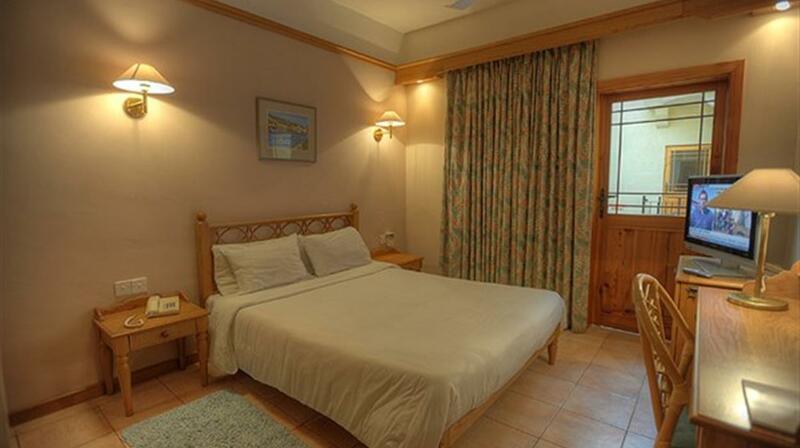 Twin inland courtyard view rooms - There are 20 beautifully decorated rooms overlooking the quaint hotel courtyard. The rooms are spacious and all interiors reflect the architecture of Gozo with emphasis on cool limestone work and solid oak furniture. 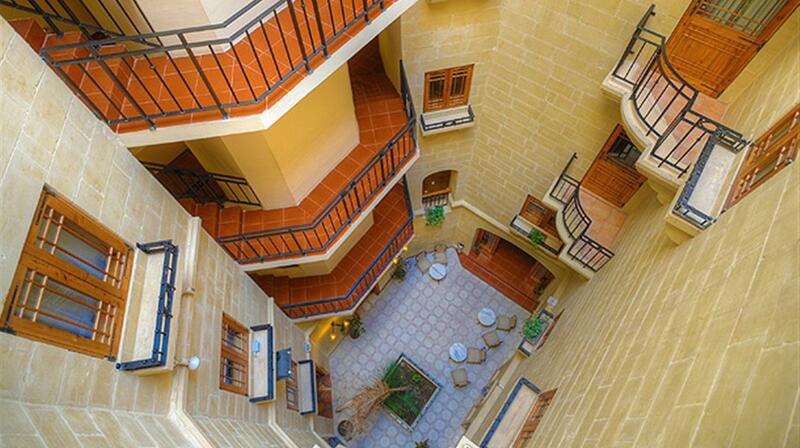 From the internal balcony or window, guests overlook a pretty courtyard which always has a very relaxed feel to it. All rooms have en suite bathroom, mini bar, direct dial telephone, cable LCD TV, hairdryer, ceiling fans, air conditioning in summer and central heating in winter. Twin inland valley view rooms - The 16 rooms are decorated with a choice of pleasant furnishings to reflect Gozo’s architecture; cool stone work, floor tiles and solid oak furniture give a comfortable feel to the rooms. The rooms have a view of the valley and the square in front of the hotel. All rooms have en suite bathroom, mini bar, direct dial telephone, cable LCD TV, hairdryer, ceiling fans, air conditioning in summer and central heating in winter. 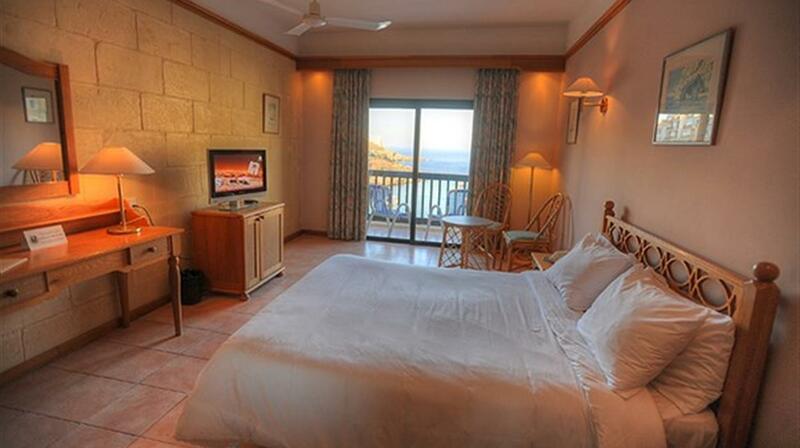 Twin sea view rooms - The 14 rooms all have a balcony with views of the bay and the majestic cliffs. All rooms are spacious with comfortable solid oak furnishings. Cool stone work and floor tiles give a pleasing feel to the rooms. All rooms have en suite bathroom, mini bar, direct dial telephone, cable LCD TV, hairdryer, ceiling fans, air conditioning in summer and central heating in winter. Valley view suite (family suite) - The six suites, with views of the valley, are spacious with two sleeping areas and one bathroom. One of the bedrooms can be turned into a sitting room. Sleeping up to five people these suites are all decorated to reflect Gozo’s own particular architecture. The choice of furnishings is pleasant with cool stone work tile and solid oak furniture. All suites have a bathroom, mini bar, direct dial telephone, cable LCD TV, hairdryer, ceiling fans, air conditioning in summer and central heating in winter. Sea view suite (club suite) – The four sea view suites offer impressive sea views and a spacious terrace for relaxing or dining. The rooms have an en suite bathroom, a mini bar, direct dial telephone, cable LCD TV, hairdryer, ceiling fans, air conditioning in summer and central heating in winter. 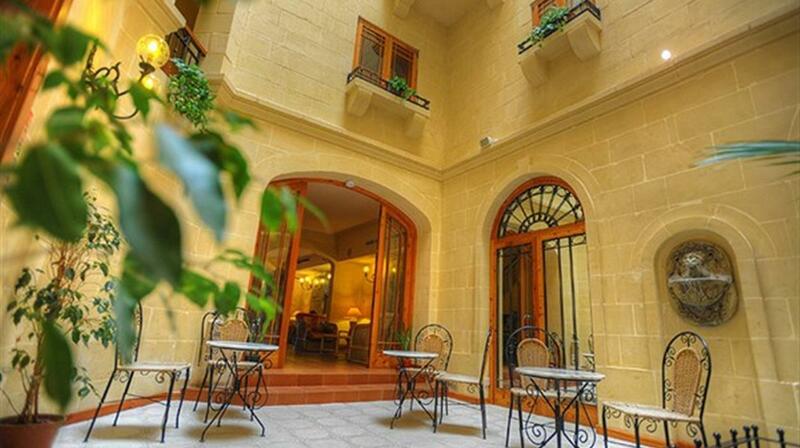 Wi-Fi available free of charge in public area's throughout St Patrick’s Hotel, Xlendi. It is available in the rooms at a local charge. Price guide (may vary):€3 - 300min; €5 - 600min. Disabled Facilities: The property is not suitable for persons with mobile difficulties. Set in a superb location just a few metres from the seafront, a tiny but very picturesque spot. There are great opportunities for sea lovers and ramblers to explore. If it’s relaxation you want, there are perfect sun bathing areas along one side of the bay and a small sandy beach. Shops, bars and restaurants are within easy walking distance. 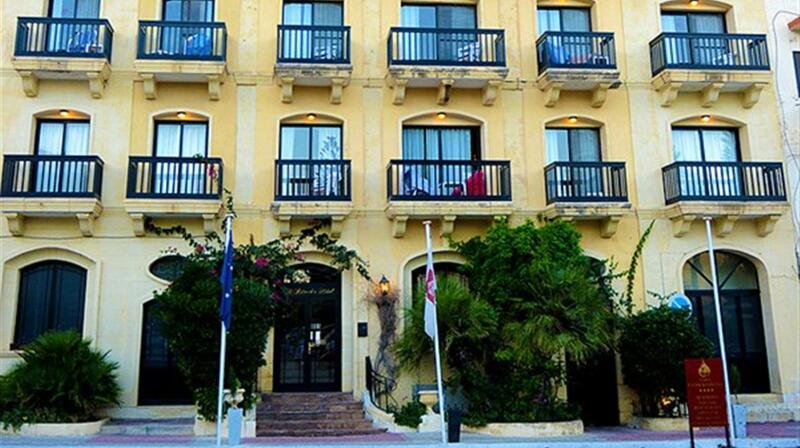 The hotel is well located to explore Gozo, Victoria is only about 3km away and there is a bus stop near the hotel entrance. There is also a large public car park behind the hotel. 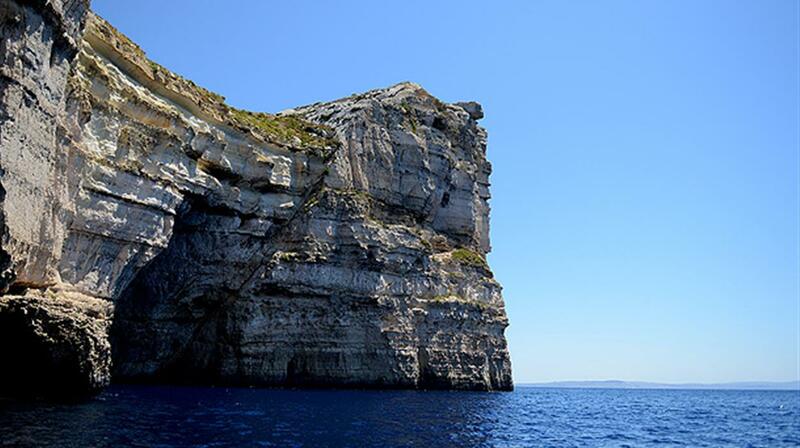 Gozo is known to provide a restful haven for a tempo and scene change. A wonderful sanctuary where progressively people forget their mobiles, shut down their laptops and reboot in this calm, exquisite island. 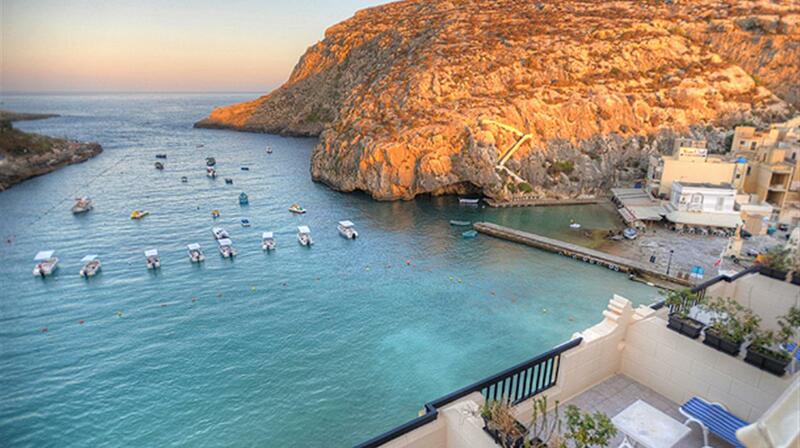 The real beauty of Gozo, apart from its stunning seascape and interior, lies in the villages. Here, it seems as if time really does stand still. The locals treasure their peace and the villages are tranquil, proving to be a wonderful respite from the trials and tribulations of everyday life for visitors. Gozo is only 14km long and 7km wide - the sea, bars, shops and some of the finest restaurants in the Mediterranean are never more than a 15 minutes drive away. Cheap public transport is available; however car hire is relatively inexpensive and will give wider opportunity for exploring. All roads in Gozo lead to Victoria, also known as Rabat, which is where the fortified citadel sits atop a summit. It is a great place to watch the Islanders go about their day, especially when the main market square, It-Tokk, comes to life. The town also has a thriving cultural life all its own, with some surprising attractions ranging from opera to horse races in the main street on festa day. Ggantija Neolithic temples which is the oldest man made structure and a World Heritage Site is a short bus ride away from the Victoria bus terminus. Gozo is about a 1.5 hour transfer from Malta International Airport by road, including the 25 minute ferry crossing from Cirkewwa. The restaurant and bar stretch out onto the terrace with tables set out right on the water's edge, giving views of the picturesque bay. The hotel dress code may not allow shorts or sleeveless tops in their restaurant during dinner. Some facilities may incur a local charge. 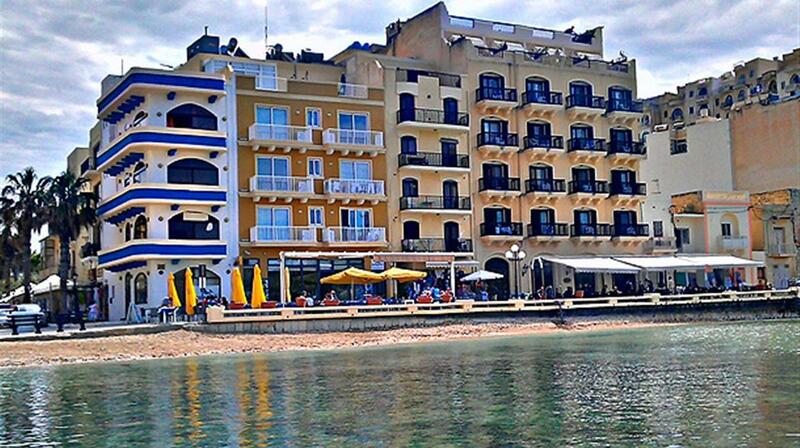 "Loved this hotel make sure you have a room with balcony overlooking the sea. Professional and friendly staff loved the room all we could wish for. 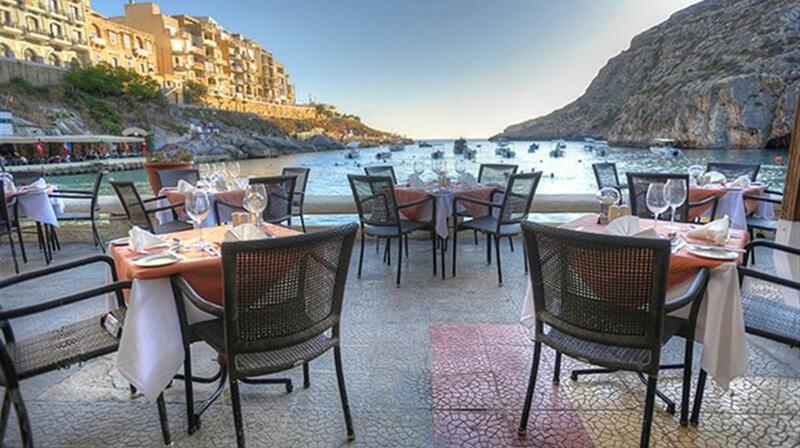 Love Xlendi and sea front restaurants love Gozo." "Very clean hotel with friendly helpful staff. Hotel location is very pleasant. I find bed and breakfast gives me the flexibility to try out the many local restaurants which surely is part of the holiday. " "Transfers were excellent. Lovely hotel pleasant staff. Tea and coffee at breakfast only ever luke warm. 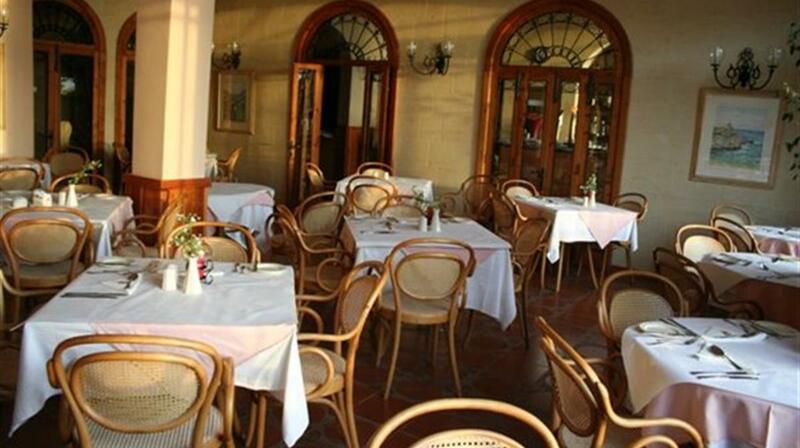 Only used the restaurant on one evening food very good but service not so good. Started off well but had to ask twice for the dessert menu and three times for more drinks. Holiday was spoiled by the incessant noise from the nearby building site. We paid extra for a sea view room and the view was wonderful but due to the noise we were often unable to have the patio door open or sit on the balcony. " 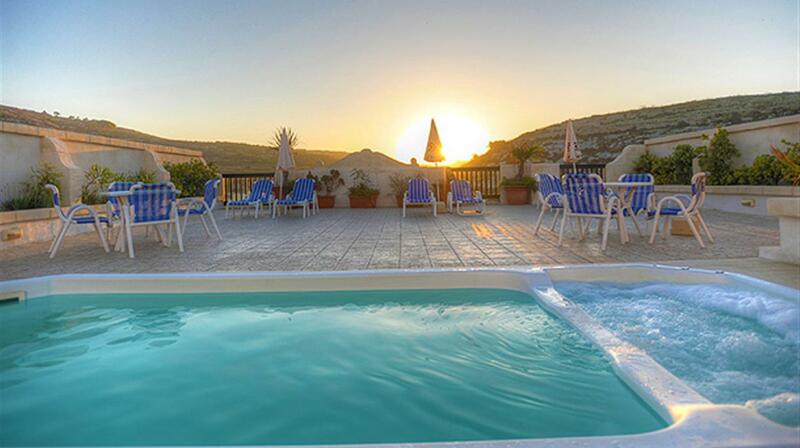 "An excellent holiday will certainly return to Gozo and the St Patrick's hotel." "For the price the hotel was good although we both thought that the breakfasts could have been a little more adventurous! Fabulous location and another time we would have booked a sea view room and hang the expense! Rooms service very good and friendly. Recommend the location. " 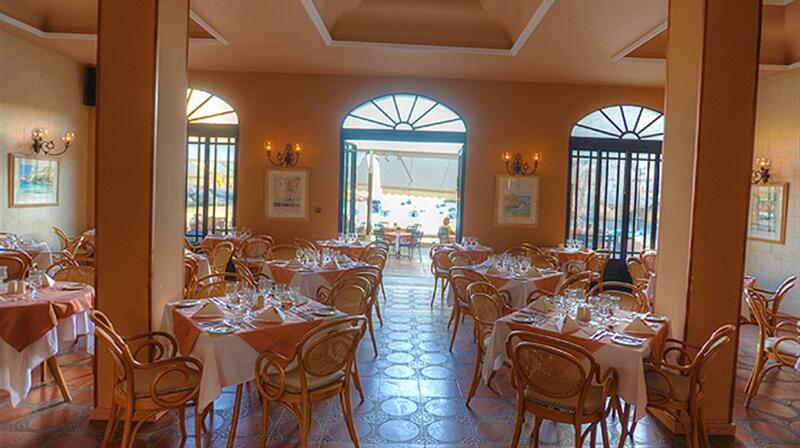 "Very good hotel good service and lovely outlook. Overall service very good"
"Room clean comfortable with fantastic views over the little bay of Xlendi. . Staff friendly and polite. Breakfast could offer a larger section of fresh fruit. Would recommend sea view room. It's our 13th stay and we love it. St Patricks islisted as a four star hotel but do not expect the same level of comfort and amenities as you would get in a 4 star UK hotel. It's different on Gozo! We have gravelled with Chevron to Gozo in excess of 12 times. We have always received excellent service the transfers from airport to Gozo are faultless. Thank you once again Chevron for a great holiday. " "Can't be faulted. CORNUCOPIA HOTEL went out of their way to be helpful. Recomend- Gozo as a place to walk swim relax. Thank you Chevron." "We would like to thank every one at Chevron for making our holiday.This is the first time we had booked with yourselvesa bit worried at first but we need not have been every thing from getting on the plane from Manchester to Malta transfer to Gozo to the hotel and back to England was first class. We will definitely book with yourselves again. A big thank you "
"Wonderful hotelvery friendly stafflovely food and an excellent position on the water front.We had a seaview room with balcony which just made it. 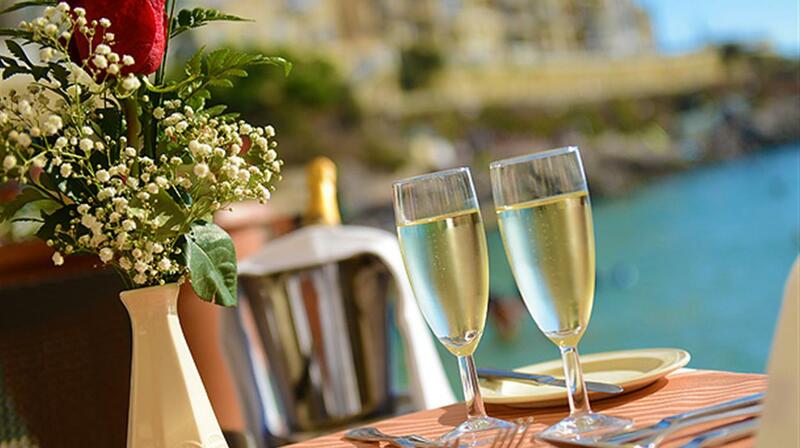 Very good value for moneyXlendi to us was the best resort in which to be based." "The hotel staff without exception were friendly helpful and efficient"
"The upgrade to a sea view room was well worth the money. The room was comfortable and housekeeping staff were excellent. Breakfast was adequate but cooked foods were unappealing. Good variety and quality of local restaurants. A beautiful setting with many walks easily accessible." "This is our fourth time at the St Patricks hotel. We have only ever had a sea view room so cannot comment on the others. 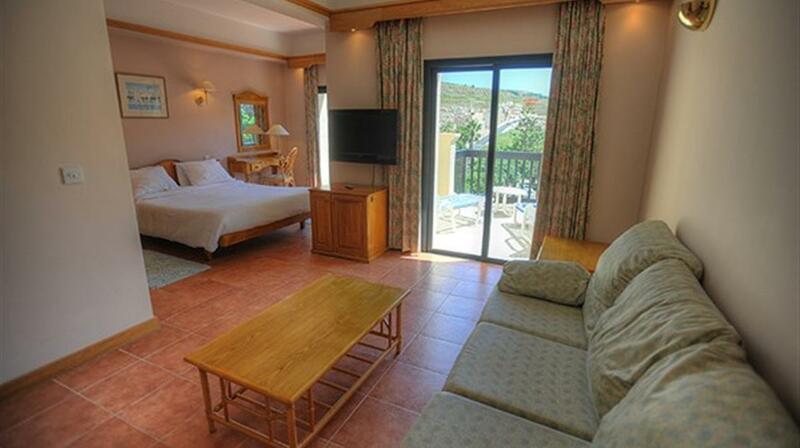 The rooms are spacious clean and have the most wonderful outlook onto the bay. The staff is always polite and helpful. St Patricks advertise themselves as a 4 star hotel-but don't expect English 4 star accommodation- go and enjoy the hotel for its unrivalled situation the stunning views and the friendly staff. We have travelled with Chevron 5 times now and it works like clockwork! Having looked out other companies or travelling independently we have decided our return visits to Gozo will be with Chevron. The value for money and hassle free travelling we wouldn't trade in! Thank you for another great holiday."